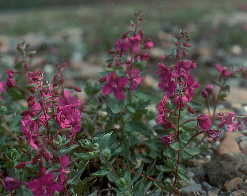 Species diversity and numbers in Alaska, and especially in Denali, are impressive, and are a major reason for an influx of summer visitors to the state; the shear biological volume is too large to thoroughly itemize here. There are numerous sources, however, that can be referred to in order to prepare for a trip to this vast wilderness so rich in natural history. Local libraries can be helpful, and the Alaska Natural History Association (P.O. Box 230, Denali National Park, AK 99755) has a fairly complete list of the latest books. Wildflowers do their blooming from late May into August and blooming times can vary depending on elevation, the length of winter, the hospitality of spring, and a variety of other factors. The range of colors is magnificent - from the magenta of Fireweeds, the violet-blues of Harebells, to the lemon yellow of Cinquefoils and Arctic Poppy. Wildflowers of Denali National Park by Verna and Frank Pratt (1993, AlaskaKrafts) is an excellent guide to the park's flora, with 410 color plates. Sections include trees found in the park (alders, willows, birch, aspen and spruce) as well as mushrooms, lichens and mosses. Plant edibility and even specific locations of plant life along the 89 mile park road are included. 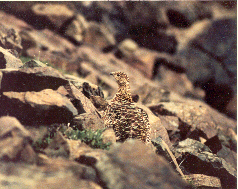 Birdlife in Alaska is well-documented and checklists are updated regularly. 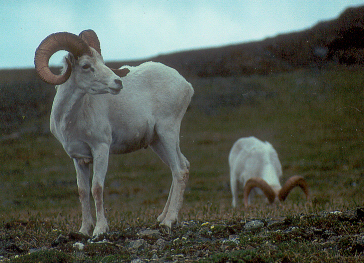 Denali National Park has recorded over 160 species, with many species nesting during the short summer breeding season, only to migrate late summer and fall. Permanent residents, though few in number, like the Great Gray Owl, Gyrfalcon and ptarmigan, have adapted to the harsh winters and can be seen year round. A Guide to the Birds of Alaska by Robert Armstrong (1995, Alaska Northwest Books) is a handy photographic field reference for 295 avian species that occur regularly in Alaska. This work in paperback is small enough to pack and along with a standard field guide (Peterson, Sibley, and the like) is all one needs to identify that winged flash in the sky "beyond a shadow of a doubt." The mammals of Denali National Park are year round residents and range in size from the Pygmy shrew - one of the rarest North American mammals at 1/8 of an ounce in weight to the largest deer in the world at over 1000 pounds - the moose. Many of the mammals in the park checklist are fairly common and visible, and a few are more than impressive. The list, which was changed in 2001 - the status of Mountain goat is uncertain, is small enough (37 species) to list below. A good photo reference for Alaska's mammals is The Audubon Society Field Guide to North American Mammals by John Whitaker, Jr. (1980, Knopf). It includes a track guide of footprints (that you will encounter in the mudflats and soft sand bars during river crossings). 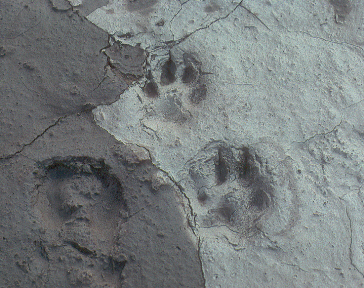 The Peterson A Field Guide to the Mammals is also a good choice for field marks, tracks, and habitat preferences. Of smaller note, though no less important...as biological indicators of environmental health, amphibians in general and frogs in particular offer us a window through which we can view our own well-being. Healthy frogs are a good sign for us, it seems. Unfortunately Denali National Park has only one recorded species - the wood frog, to help us keep an eye on ourselves and our eco-meddling activities. In fact, it is our only frog found north of the Arctic Circle. To its credit, and its ultimate survivability in such a hostile environment, the wood frog has evolved into an "explosive breeder" for 1 or 2 days in summer before hibernating most of its life away in winter. The fragility of the wood frog's existence typifies an ecosystem that, though enduring, is very fragile indeed. Our visit to the "crown jewel" of our national park system will treat this fragility with the respect and care it deserves. We can capture moving images on film, we can commit exciting moments to memory, we can realize the fulfillment of our arctic fantasies and dreams. But we will tread lightly and "leave nothing behind but our footsteps." In so doing we help ensure a future that we can be proud of and our grandchildren will thank us for. The wood frogs will thank us too.